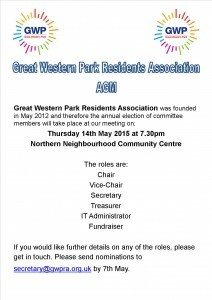 As you know, the Great Western Park Residents Association was founded in May 2012 and therefore the annual election of committee members will take place at our meeting on Thursday 14th May 2015 at 7.30pm, Northern Neighbourhood Community Centre. If you would like further details on any of the roles, please get in touch. 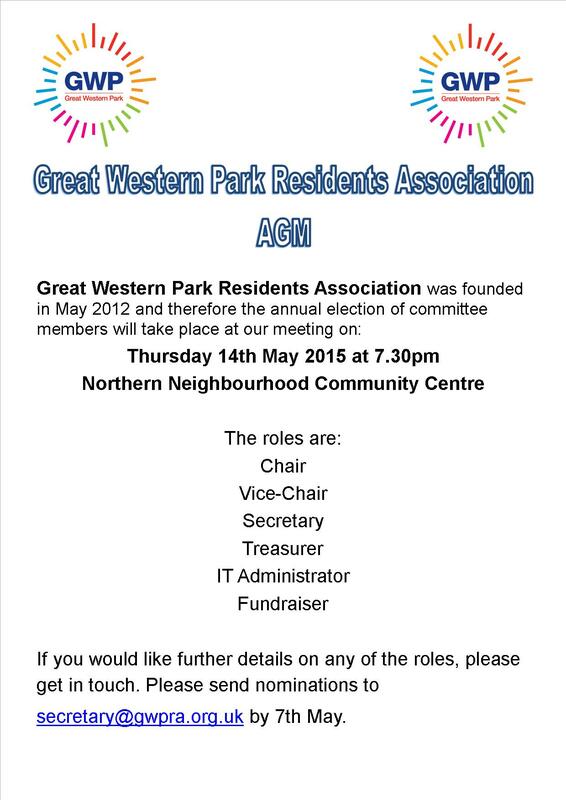 Please send nominations to secretary@gwpra.org.uk by 7th May.